Chelle Hope is a writer who is, regrettably, finding less time for being idle these days as the demand for attention from her inner voice grows louder and more urgent. 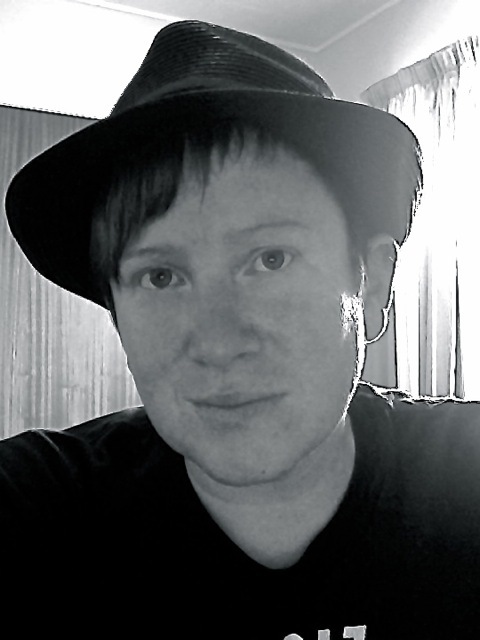 As a lesbian with disabilities, she is interested in how identity informs how we see ourselves and others. In this week’s guest blog, she explains why she writes about disability. Growing up, my disability was less important to me than it seemed to be to everybody else. That I was born with spina bifida and developed hydrocephalus as a result was the least interesting thing about me, as far as I was concerned. Others though seemed to have a fascination for what it was like to have a disability, which I just didn’t understand. Starting in primary school, it was frequently suggested that I should write a book about my experiences. While writing was my favourite subject throughout my schooling, I had no interest in making it my career, precisely because people were so insistent that I ought to. I don’t think I’m alone in that kind of (perhaps childish) protest against doing what I’m told, although I suspect I may well have a particularly robust obstinate streak. Free will is something we humans tend to value highly, so it makes sense that we should rail against others trying to shape or influence our lives. I wouldn’t be overstating it if I said I used to be terrified of being alone; not a good state of mind for a writer. As is so often the case, if my 15 year old self could see me now she might have relaxed, at least about that. Goodness knows she could have done with being a little more carefree. I’m fine now with being alone. When my friends all started pursuing their careers and starting families, I’ll admit I was lonely and I really didn’t know what to do with myself. If only I had started writing earlier, that might not have been a problem. I wanted to write, I just had no idea what to write. I didn’t want to write about disability because at the time I really didn’t identify particularly strongly as disabled. The discourse, the imagery, the mundanity of it all seemed to me to be negative, problematic and, well, boring. What I didn’t realise at the time is that this is exactly why I and others like me should write, so that the discourse around disability becomes both broader and more nuanced. “Write what you know”, goes the tired refrain. As far as I was concerned, nobody could possibly want to read about such an ordinary life as mine, in fiction or biography. I was suffering from a failure of imagination that let me believe that my own life is unexceptional and therefore would hold no interest to outsiders. What I didn’t consider was the vast gulf between lived experience and observation. People with disabilities are becoming more visible but we have a long way to go until people really understand, beyond banal and often inaccurate observation, what it is really like to live with disability. This is why telling our own stories is so important. When I write about my own experiences of living with disability, whether I am writing fiction, essays or articles, the whole point for me is to get to the truth. Sharing my writing has opened up a dialogue between total strangers and myself, where the feedback is that readers hadn’t ever thought about the truth of living with disability. More interesting still are the conversations I’ve had with family, many of whom have known me my entire life. Often something I take for granted, like feeling a certain way about an aspect of my disability, can come as quite a surprise even to those who know me well. These discussions have taught me that no matter how much time you spend with someone, you can’t know what it’s like to be them and to live their life, you can only observe. It really has made me wonder just how knowable we all are to each other. While we will never know exactly what it’s like to be someone else, we can learn so much about each other through our stories. We are all the same in so many ways and yet so different in others. That we can celebrate, if we so choose, these two states existing together in every encounter we have with another individual, is a beautiful thing and is to be encouraged. That is why I write about disability. You can read more from Chelle on her own blog.